Bajaj Auto today introduced an exciting 3 in 1 hat-trick offer for its customers, in key markets across the country. This will be available for a limited period only i.e. from 1st July till 31st July 2018. 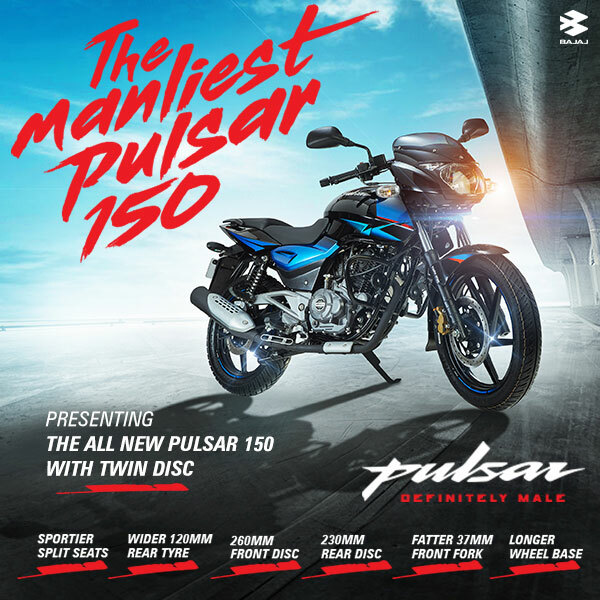 The first benefit provides for one-year free insurance for customers planning to buy Platina, Discover, Pulsar 150, Pulsar NS 160 and V range of motorcycles. The second benefit provides for two years of free service for the new CT100, Platina, Discover, Pulsar, Pulsar NS, Avenger, Pulsar RS, V and Dominar customers. In addition, customers of any Bajaj motorcycle in this period get first of its kind five-year warranty package at no extra cost. We are happy to introduce this hat-trick offer which makes it even more exciting and easier to own a Bajaj Motorcycle. All the products are now available with an unbeatable proposition for our customers to lap up this unique opportunity. We are confident that these new customer centric schemes will help boost our sales in the monsoon season. Additional peace of mind – Extended Five Years Warranty – across all models. Additional year of Free Service – across all models.